Halim El-Dabh composed his first experimental piece in Cairo in 1944, his work can be related to other pioneers such as Luigi Russolo, John Cage, Walter Ruttmann, and Pierre Schaeffer. The official history of experimental and electronic music is mostly centered around three starting poles : Paris, Cologne, New York and then everything seems to have spread all over the Western civilization. This is what C-drík learned when he studied electro-acoustic music at the conservatory. Most contemporary media introduces us to Western electronic music as if nothing else existed, the West is self-centered and consciously or not often denies the others the right to express themselves. Have you ever heard about the pioneers who composed electro-acoustic music in Israel, Japan, Iran, Turkey or Indonesia in the 1950′s and 1960′s ? The Filipino experimental scene ? The Chinese sound art scene ? The Tunisian electronica ? The South African shangaan electro ? The Lebanese dubstep and breakcore parties? 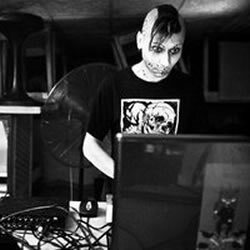 This lecture will be an introduction to C-drík’s research on electronic and experimental music in Africa and Asia, from 1944 until today.